The first step of my talking robot project – test whether this Speakjet chip works! Strangely, I couldn’t find much help on rigging up the demo/ test mode for the chip so here it is. 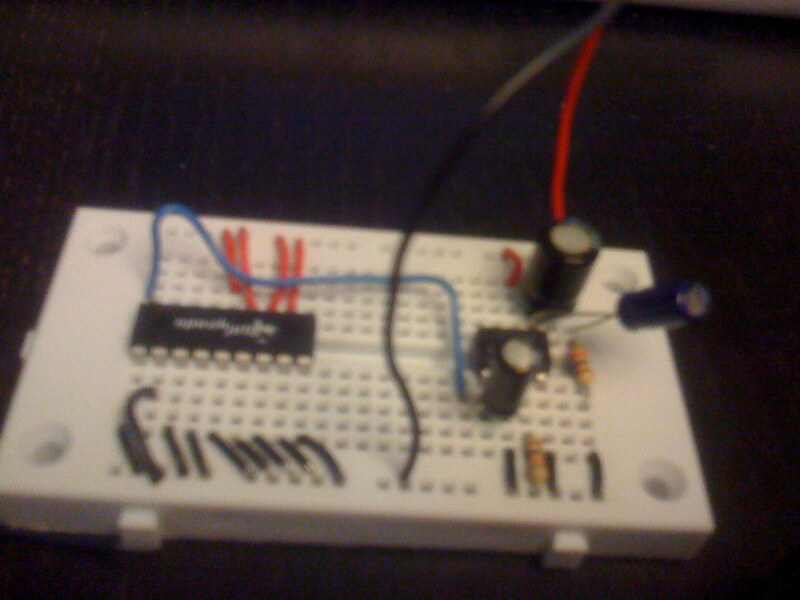 I used a AA battery pack to power the breadboard and an LM386N op amp to hookup an 8? speaker to get sound out of the chip. The chip circuit is the demo circuit on the Speakjet datasheet and op amp circuit is the gain=20 circuit from the op amp datasheet.